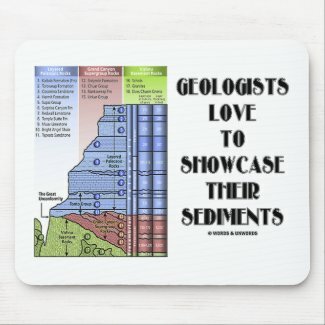 Make others do a double-take with a dose of wry geological attitude with any of these gifts featuring a schematic overview of a thrust system. 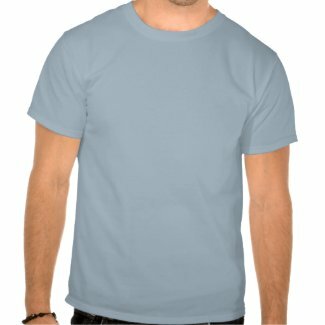 The shaded material is called a nappe. 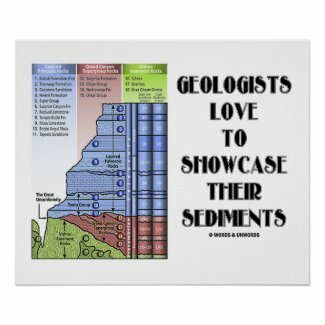 The erosional hole is called a window or fenster. 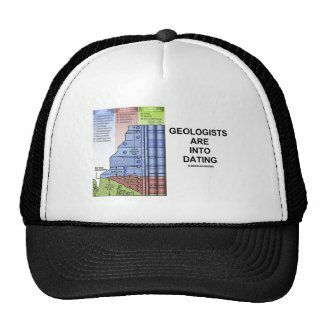 The klippe is the isolated block of the nappe overlying autochthonous material. 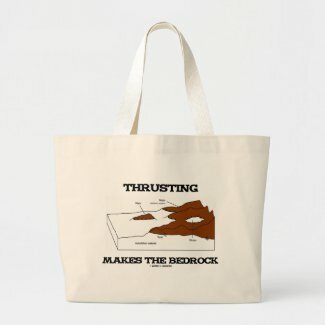 Includes the wry scientific truism saying that will make others do a double-take on what you are referring to: "Thrusting Makes The Bedrock". 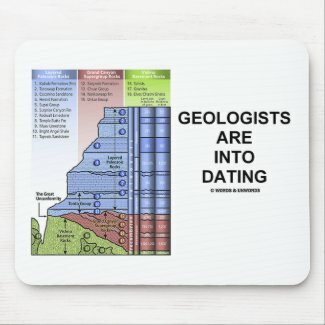 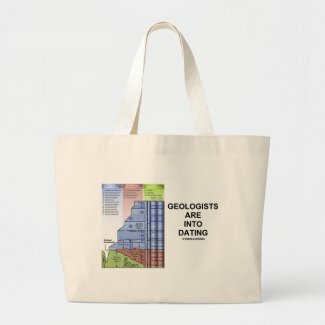 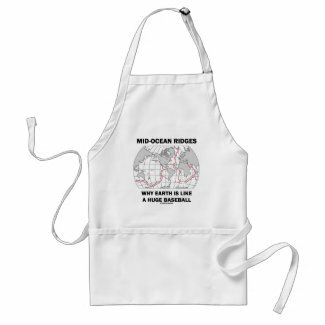 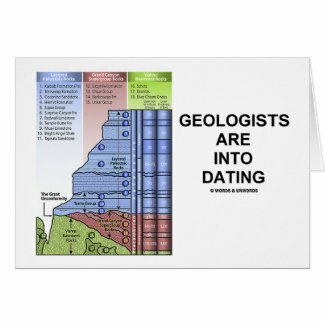 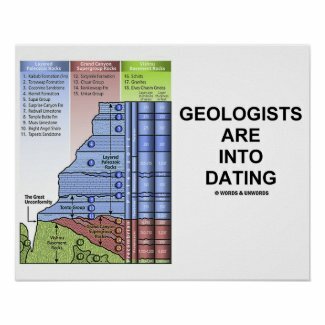 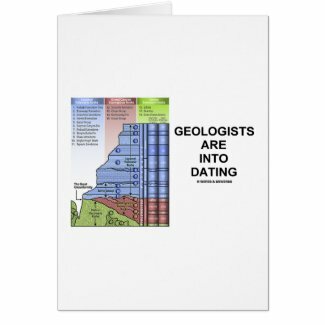 No need to be a geologist or geochemist to enjoy any of these wry scientific humor gifts featuring the science truism "Geologists Are Into Dating". Featuring Grand Canyon stratigraphy, with three types of rocks. 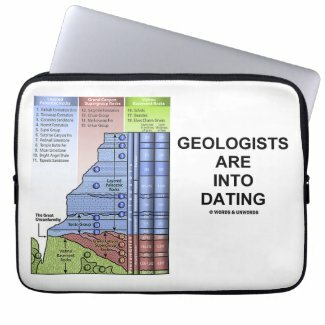 Make others do a double-take on exactly what you mean by "dating" -- whether love life dating or radiometric dating -- with any of these double-entendre gifts! 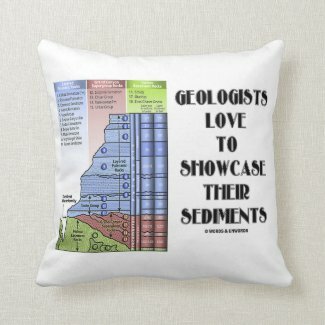 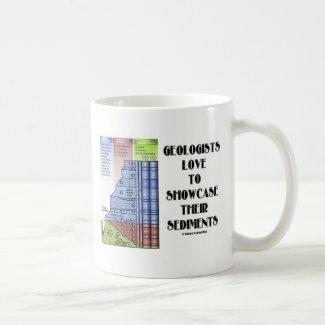 No need to be either sentimental or a geologist to enjoy wry scientific humor with any of these gifts featuring the three different kinds of rocks as found in Grand Canyon, along with the scientific truism saying for all those in geology: "Geologists Love To Showcase Their Sediments". 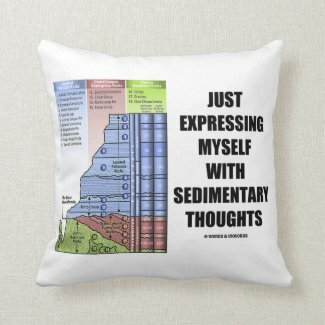 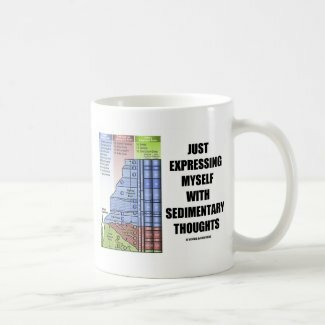 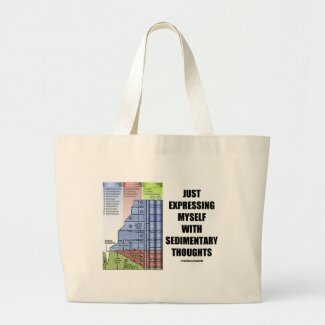 Make others do a double-take on any of these double-entendre word play gifts on the word "sedimental", which could mean "sentimental"! Educational science attitude for all who love the Grand Canyon! 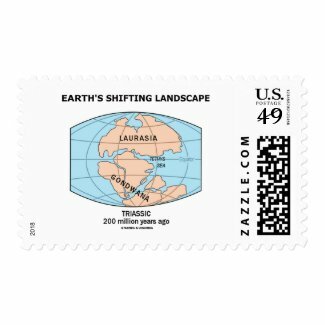 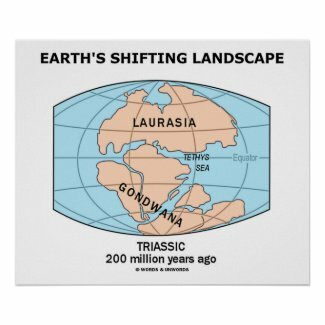 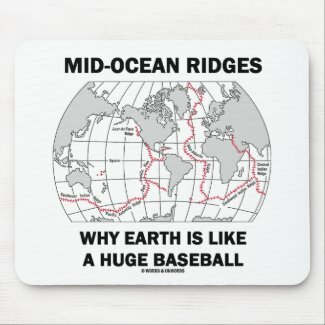 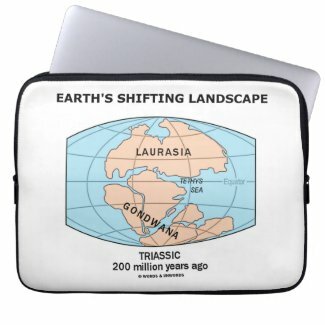 Into plate tectonics? 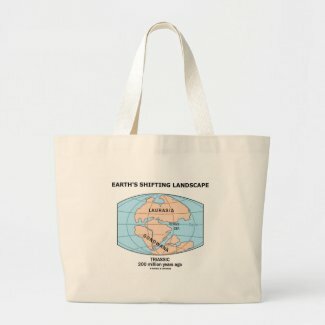 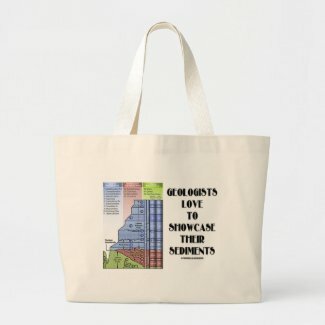 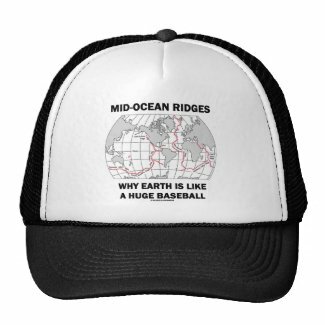 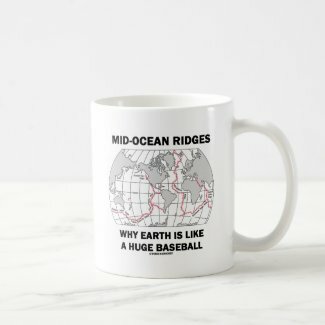 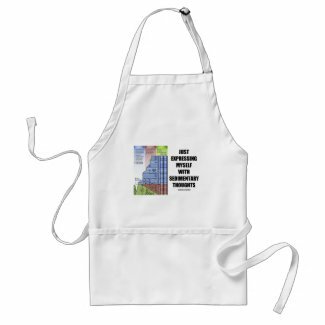 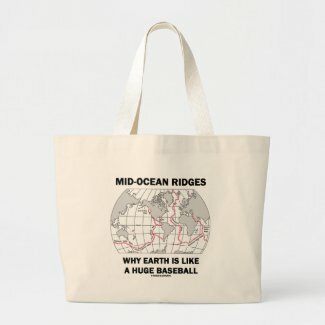 Showcase your wry geological side with any of these gifts which feature the Afar Triangle (shaded, center) -- a triple junction where three plates are pulling away from one another: the Arabian Plate, and the two parts of the African Plate (the Nubian and the Somalian) splitting along the East African Rift Zone. 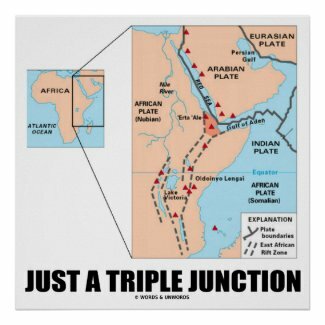 Includes East Africa and shows some of the historically active volcanoes via the red triangles. 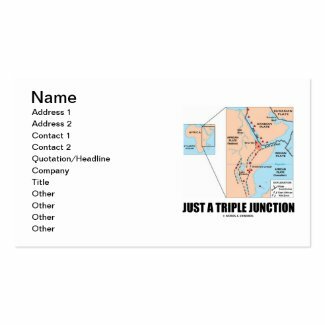 Comes with the truism saying: "Just A Triple Junction". 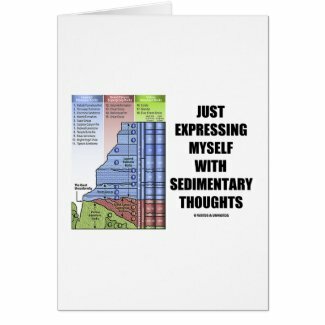 Make others do a double-take with educational, scientific fun today! 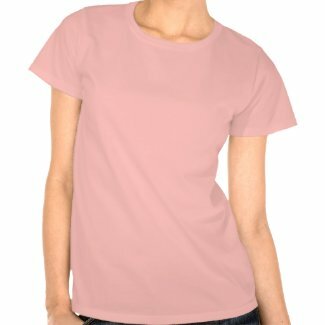 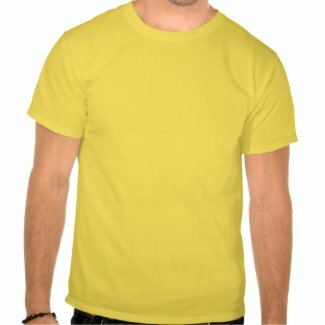 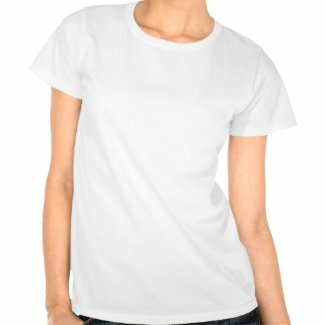 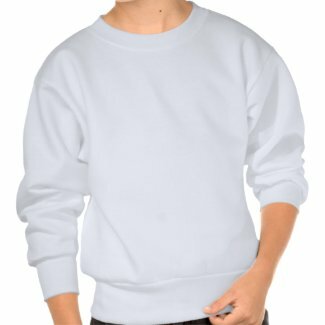 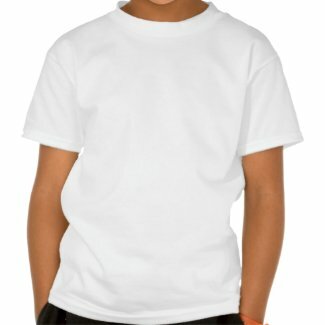 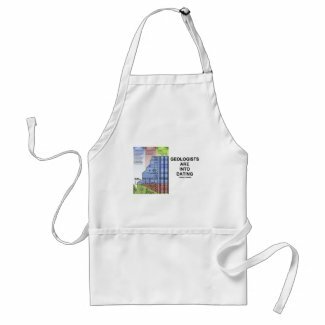 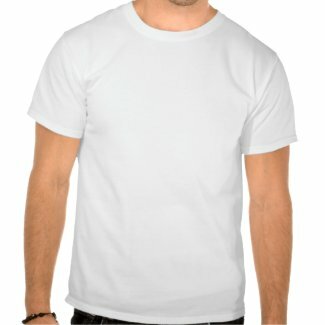 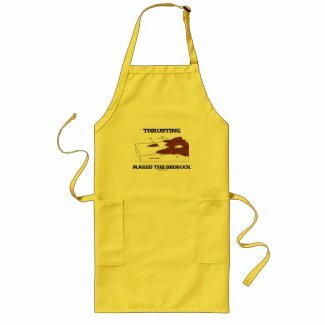 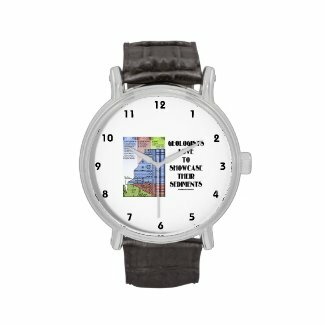 View more gifts on Zazzle. 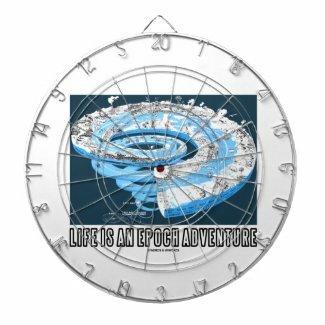 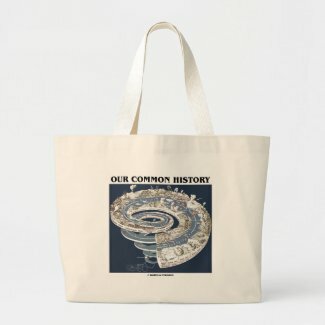 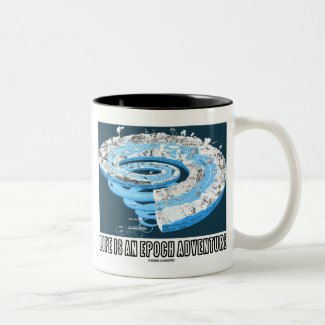 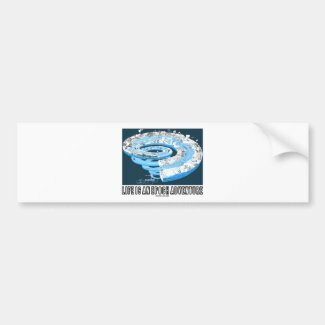 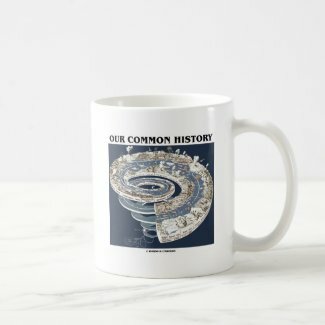 Showcase your wry geological time attitude with any of these gifts featuring Earth's history in a spiral of time timeline along with the following earth scientific truism: "Life Is An Epoch Adventure". 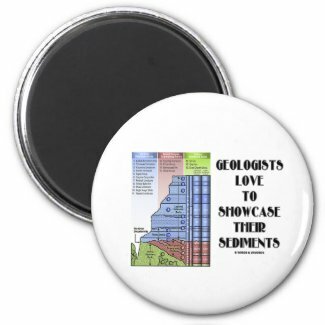 No need to be a geologist, paleontologist, or earth scientist to enjoy!